Nonulcer stomach pain is a regular stomach ache that is caused by indigestion. It is also known as Non-ulcer dyspepsia or functional dyspepsia. This type of stomach pain is quite common and long lasting. 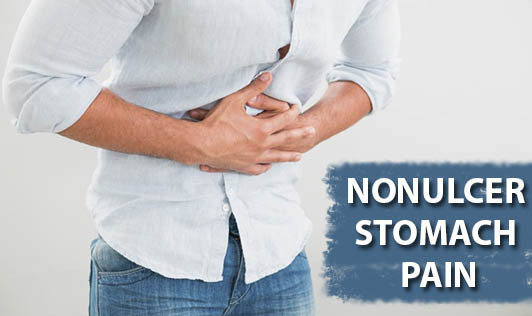 The signs and symptoms of Nonulcer stomach pain bear a resemblance to those of an ulcer such as discomfort in the upper abdomen is accompanied with nausea. Doctors suggest that it is a functional disorder which means that it's not essentially caused by a specific disease. Contact your doctor if you notice dark tarry stools, have shortness of breath, bloody vomit or pain that radiates to your neck, jaw and arm!